3D printer for metal is used to produce three-dimensional objects of almost any type, across a range of industries, including healthcare, aviation and engineering. 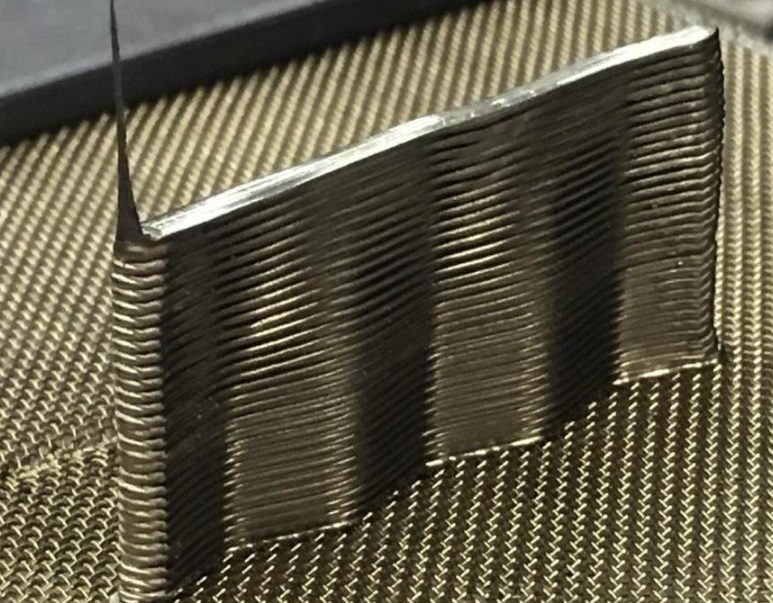 The research that has been published in the journal Materials demonstrates a new approach to 3-D printing to fuse metallic filaments made from metallic glass into metallic objects. According to phys.org “Jan Schroers, Professor of Mechanical Engineering and Materials Science at Yale University and Desktop Metal, Inc., in Burlington, Massachusetts, USA, along with colleagues point out that 3D printer of thermoplastics is highly advanced, but the 3-D printing of metals is still challenging and limited. The reason being that metals generally don’t exist in a state that they can be readily extruded”. “We have shown theoretically in this work that we can use a range of other bulk metallic glasses and are working on making the process more practical- and commercially-usable to make 3-D printing of metals as easy and practical as the 3-D printing of thermoplastics,” said Prof. Schroers. Unlike conventional metals, bulk metallic glasses (BMGs) have a super-cooled liquid region in their thermodynamic profile (a phenomenon that is present in thermoplastics, but not conventional metals). So, Prof. Schroers and colleagues have shown that BMGs can be used in 3-D printing to generate solid, high-strength metal components under ambient conditions of the kind used in thermoplastic 3-D printing. According to phys.org “The new work could side-step the obvious compromises in choosing thermoplastic components over metal components, or vice-versa, for a range of materials and engineering applications. Additive manufacturing of metal components has been developed previously, where a powder bed fusion process is used, however this exploits a highly-localized heating source, and then solidification of a powdered metal shaped into the desired structure. This approach is costly and complicated and requires unwieldy support structures that are not distorted by the high temperatures of the fabrication process”.